We are excited to introduce some of our new products. 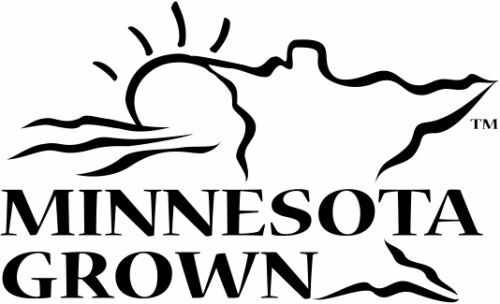 We have teamed-up with a small, family-run business in northwestern MN that creates high-quality products. We have a good variety of socks, hats, mittens and headbands for sale at the farm store. What does it take for a small, family-run business to make these products? Watch here to see how socks are made. Even though the "machine" is doing the knitting, there is still a lot of hands-on to produce these items. Have a look. Woolen men's hats available in blue, gray and brown. Selection changes regularly, so email for specific colors. 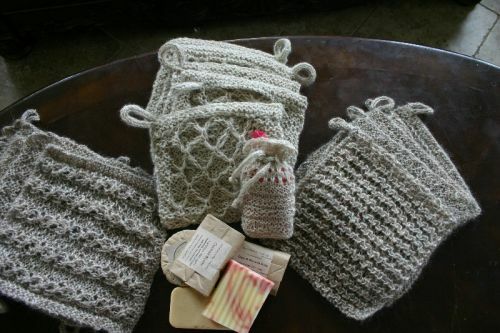 Bath and shower mitts made from Scottish Highland fibers. Great for exfoliating! Local soaps also available. Snowflake style hats with genuine Swarovski crystals, made from the wool of our Leicester Longwool sheep. Candy stripped hats interwoven with sparkly accents and of course, the pom-pom.